Thursday, June 22, 2017, 8:33 a.m. – The Lord Jesus put in mind the song “Wake Up!” Speak, Lord, your words to my heart. 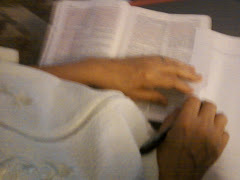 I read Revelation 3:1-6 (ESV). “And to the angel of the church in Sardis write: ‘The words of him who has the seven spirits of God and the seven stars. “‘I … Continue reading Dead or Alive?